Paradise Living. 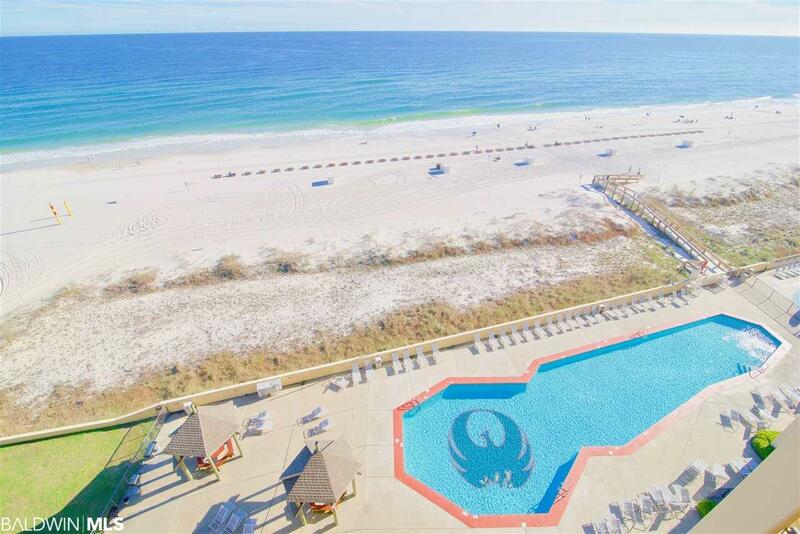 This 2 bedroom 2 bath unit has EXTRAORDINARY views of the GULF! Perfect balcony to watch the SUNRISE and the SUNSETS! 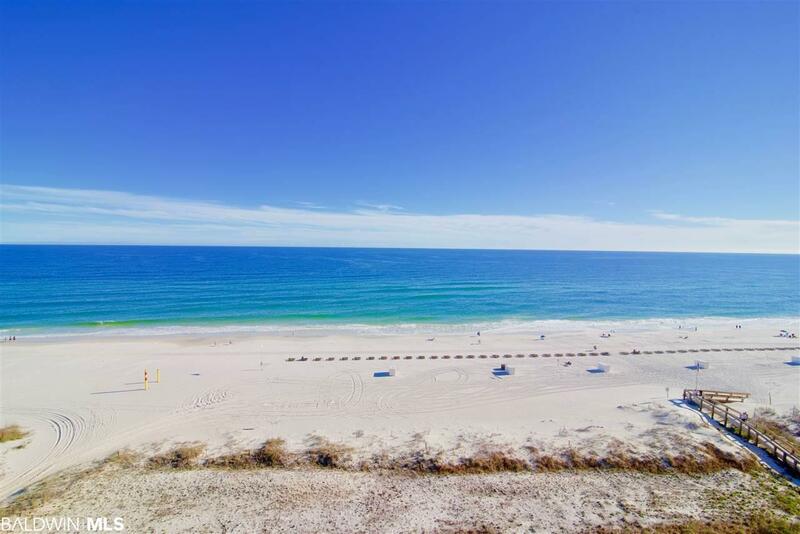 Watch the WAVES CRASH and enjoy a relaxing drink by the GULF. This unit offers great features including new upgraded kitchen with granite counter tops and new appliances and NEW FLOORING. The kitchen opens up into the GREAT BIG living and dining room that outlooks the water. Enjoy waking up to more WATER VIEWS from the SPACIOUS master. The master also offers its own bathroom with a large vanity and a private shower. The guest room offers 2 large closets and also has its own private bath with plenty of space. Take a short ride down to the ground floor and be greeted by indoor pools and walk out to the outdoor pool area with STUNNING views. 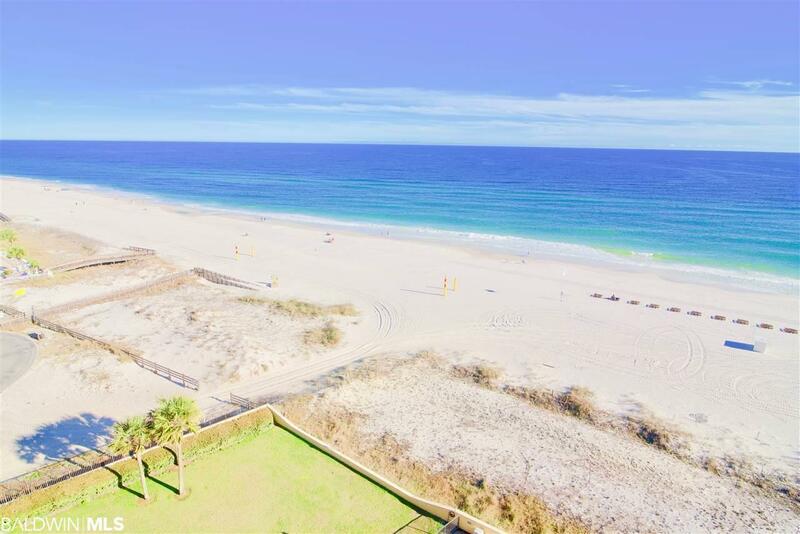 Take a short walk down the BOARDWALK and be CAPTURED by the BREATHTAKING BEACH views. Come enjoy your summers on the BEACH or whenever you want! 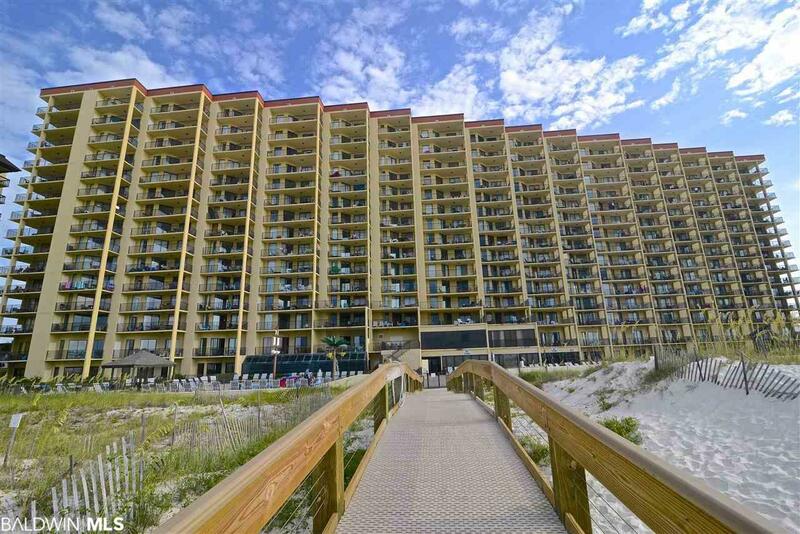 This complex is also close to the QUAINT town of Orange Beach. With plenty of great restaurants and shopping. This is another AMAZING unit you do not want to miss out on! MAKE A MOVE NOW! !